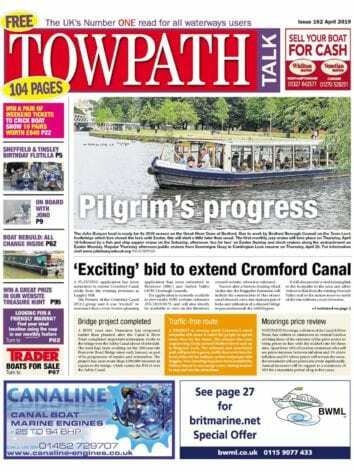 THE towpath outside the Shroppie Fly Pub – one of the best known canal scenes in Britain – has been closed for safety reasons. 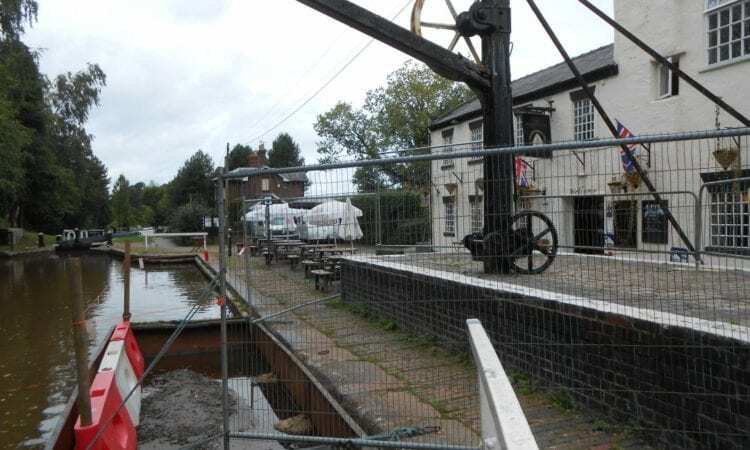 On Monday, a Canal & River Trust team fenced off the area around the wooden crane at Audlem Wharf on the Shropshire Union Canal. The crane jib timber is clearly badly rotted close to the main upright timber and generally the crane is in poor shape. It stands outside the pub which was once the canal warehouse at the wharf, close by Audlem Mill. Though the crane is not the original, or used in canal carrying days (that was an iron crane a few metres away), and nor is it functional, it has been there for over 45 years. It is in fact a Great Western Railway goods yard crane. Local folklore is that it came from Audlem station, which closed to goods in 1967, but it is actually a railway crane which came from a goods yard in the Birmingham area. The photo shows the crane outside the Shroppie Fly. In the background is the Telford designed lock cottage. Much of the canal in Audlem is a conservation area, and it is critical that the crane is quickly restored to good health. Also, the fencing is blocking the towpath, which is a public footpath, though there is a very close alternative route. 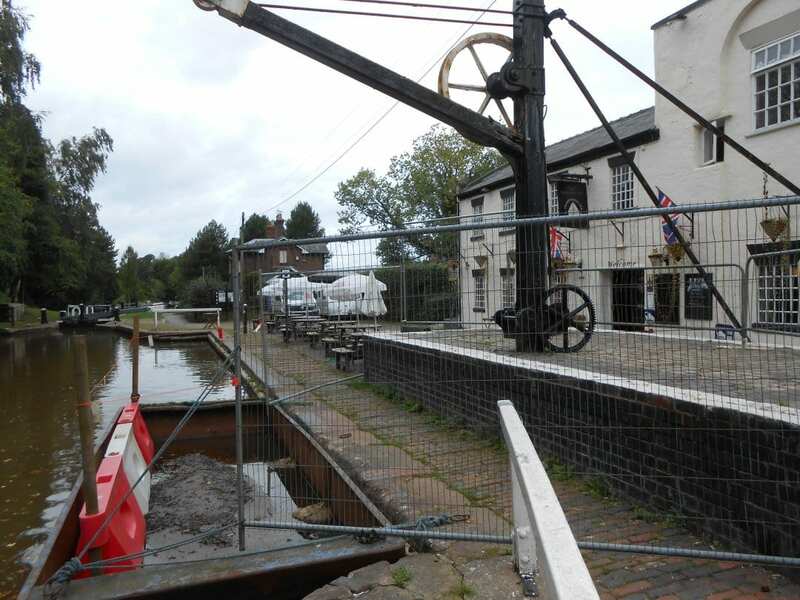 Boats over 50ft will not be able to access the waterpoint by the Shroppie Fly pub. The nearest water point for boats over 50ft will be at lock 13.